Smoking Gun PR has been appointed by Willerby, the UK’s biggest manufacturer of static caravans and holiday lodges. The Manchester agency, which recently won the PR contract for Arriva Buses in the North West and Wales, will manage media relations, as well as supporting across stakeholder relations and digital strategy. 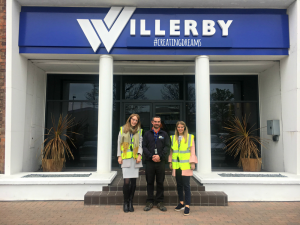 Employing more than 1,000 people at its Kingston upon Hull HQ and with an annual turnover of £150m, Willerby celebrated its 70th anniversary last year. Smoking Gun PR, the MPA PR Agency of the Year, also works with fitness brand Les Mills and software company GoSimple.